Located in the North of Saint Lucia, known as the nonstop action, and excitement part of the Island, Castries earns its title as the Capital city of Saint Lucia. It is the central location for a unique and unforgettable experience. You will be surrounded by an endless choice of local bar and dining options and adventures, wrapped by remote beach resorts–overall, providing the perfect balance. With this guide, I will show you how to get the most out of your trip to Castries, St. Lucia and find that balance by exploring different types of resorts, activities, and restaurants. The Windjammer Landing Villa Beach Resort is the first place you should consider during your stay at St. Lucia’s Capital city. You can enjoy a premium all-inclusive experience filled with a relaxing atmosphere, and an incredible view no matter where you are in the resort. Along with modern and luxurious rooms! Windjammer Landing is immediately charming as its nestled away on a lush green hillside along the Carribean sea. You will experience secluded villas ranging from one bedroom to three, a welcoming and friendly staff along with many amenities. Your taste buds will also thank you as you enjoy Windjammer’s a-la-carte dining experience featuring five different restaurants and four different bars to choose from along with room service, of course! There are so many ways to relax, from their exclusive and unique spa to lounging on hammocks perched above the water, even just looking out your window is an incredibly calming escape. The Villa also features a 1,500-foot long beach, one of the best and most spacious beaches on the island along with six resort swimming pools. They also provide access to a watersports facility where you can partake in select water activities such as windsurfing, pedal boating, snorkeling, Hobie Cat sailing and more. Another aspect that makes this resort so unique is the Dive Shop as they are home to Eastern Carribean Diving. Which features a fully-equipped dive shop with daily snorkeling, underwater videography, and photography, suited for beginners with expert instructors by your side! There really is so much to experience at the Windjammer Landing Villa Beach Resort, so email us with your booking questions and we will be sure to get the best deals for you. Rendezvous Resort is the all-inclusive couples resort, providing that romantic getaway that you and your love have been yearning for! Located on Malabar Beach, you are in for an escape making you feel like you are a world away from reality. All aspects of this getaway are designed to suit a luxurious and indulging couple’s vacation. At Rendezvous, you and your love are in a secluded area with nothing but time, there are no obligations or stresses, simply two hearts in love by cool waters, a two-mile sandy and tropical views. Everything about your stay is personalized, whether you are searching for something quiet, peaceful hideaway or an eccentric escape. You can explore the coastline by bike, take up a game of tennis, or dance until dawn! You can also stretch out by the beach, sip on a cocktail or read a book whiles soaking up some sun; the choices are entirely yours and every day is a new chance to discover something new. If you wanted to explore nearby, it is only 1.8km away from the famous Castries Market. The best part is, all your activities can be organized beforehand allowing you and your love to only focus on the flow of experiences while you are there. The hospitality at Rendezvous is like no other, feelings of love and calmness are consistent throughout the resort. The all-inclusive stay includes access to many incredible amenities. Including options such as their Spa in the Water Garden, an authentic buffet restaurant, a state of the art gym, and access to the Malabar Beach Club. There are so many ways to steal time at Rendezvous Resort and it is the best choice for couples looking to get away from the routine of the everyday! Awarded with TripAdvisor’s Certificate of Excellence for five years including 2018, Bel Jou Hotel is definitely a great choice to consider during your stay on the Island of St. Lucia. This adults-only hotel provides the perfect balance between calm and excitement. Located up on a hill in a paradise of soft, crystal beaches, clear waters and tropical trees, hugged by a landscape view of Castries. Bel Jou Hotel offers rooms with an incredible view of the hotel’s gardens and greenery, overlooking the Caribbean Sea. Their Garden Bungalow rooms also feature french doors, leading to a terrace and a breathtaking look overhead the island’s capital. Every room has their own unique view, each determined to take your breath away. The hotel features five restaurants, including a rooftop bar and lounge area which stay open until midnight, along with a poolside bar. From the rooftop, you have an incredibly breathtaking dining experience as you watch the light of the sun glaze over the Carribean sea, from dusk until dawn. They also offer many options to enhance your stay, such as an Island Drive tour or car rental services. This hotel is the ideal spot for couples, groups, friends and nature lovers! It is designed for an escape away from busy resorts and a serene intimate getaway. The Sandals Regency La Toc is a luxury getaway that earns its title as Saint Lucia’s most glamorous resort, nestled upon a 220-acre estate, set on a half-mile sparkly sandy beach, kissed by exotic coral bluffs and lush tropical trees, you are about to enter into the ultimate tropical sanctuary. The location is very ideal as it sits about 3km away from the Castries Central Market and about 11km from Marigot Bay. Along with the many perks of your all-inclusive stay, some include dining options at nine restaurants, with choices of breakfast, lunch, dinner and anytime snack options. You can enjoy signature cocktails at their eight bars (with swim-up bars included) and fully stocked bars in every room. You’ll enjoy activities such as snorkeling, paddleboarding, kayaking, beach volleyball, including unlimited access to land sports and a professional instructor for water sports! In addition, their rooms include stunning ocean and beachfront views, with wifi and laundry service as perks! Awarded Saint Lucia’s Leading Resort at the World Travel Awards in 2015, Sandals Regency La Toc is a great option to consider when booking your stay! Open seven days a week, Saint Lucia’s Castries Central Market is truly the first place you should visit while staying in Castries. All who have experienced Castries Market, know of its charm and abundance. The Castries Market was built in 1891 and it continued to grow from then on! It is a colorful, fresh, open-air market located at the heart of its capital. You will find an array of exotic fruits and vegetables, handmade arts and crafts and some handwoven fashion, all made and grown by locals. There really is not a better way to experience truly authentic flavors of the island. You will know you’re near the market as you smell the transformative fragrance of fresh produce. Rows of vendors with beautifully decorated stations and herbs and condiments engulf the air, allowing for a sensational and sensory experience. The Castries Market is a great way to explore where the locals go and to take some time to get away from the common touristy area. You will find yourself yearning to go back as soon as you leave! Located 2km North of Castries, Vigie Beach is a protected white sand beach that you must step foot on during your stay. This beach is calm but social, allowing for a great balance between relaxing and interacting. The gentle clear blue waters are surrounded by a variety of trees, making lush and vibrant greenery; with slopping palm trees and natural sources of shade. You can spend the whole day there, there is a restaurant right on the water serving traditional Carribean cuisine; if you’re not feeling like a full meal, you can also enjoy some on-the-go food from snack bars and vendors just a walkup in the surrounding areas, the choice is yours! The beach area also features multiple attractions such as Choc Cemetery and Saint Lucia Folk Research Centre, just a walk away. Vigie Beach is also very spacious, so you never feel overly crowded, what are you waiting for? Vigie Beach definitely needs to be your first choice once you arrive in Castries. Morne Fortune provides a breathtaking view of the City, allowing you to be elevated into a view overlooking the twin Pitons and Mount Gimie. There is no better to see all the beauty of Castries then this elevation. Translating as ‘Good Luck Hill’, this former military outpost, utilized to protect the harbor it overlooks, will absolutely provide you with an experience of good luck. Like many sites on the Island, there are deep historical roots and tremendous beauty. You can hike around the ruins of Morne Fortune to explore the remains of Saint Lucia’s oldest structures: including guard cells and burial grounds. There is a deep chill with the history but your breath will be taken away by the panoramic view provided at the top of the hill. Morne Fortune is a must when you are explorings the Castries, you will see with your own eyes, the beauty that was fought for during these great battles and gain a deep respect and appreciation for the country. One of the best parts of vacationing that most people don’t discuss is the opportunity to diversify your closet and when in the Castries, Pointe Seraphine is the place to go! Point Seraphine refers to itself as providing a shopping experience that will generate all your sense and it definitely does so! Unlike any shopping center you’ve experienced, this open-air, duty-free Shopping Complex is located just outside the city center, providing unforgettable dining, retail, and entertainment experience. An array of stores cover the open concept mall and services range from car rentals to land and boat tours. You should always be expecting some exciting entertainment from local artists and performers. Even if you visit only for the incredible shopping experience, you will find yourself leaving with so much more! Named after the generational and traditional methods of cooking on the Island, the Coal Pot Restaurant has been recognized as a local favorite for years. It is built on a gorgeous deck overlooking Vigie Marina, offering authentic dishes for a hearty lunch or dinner. The air is cool and breezy, along with a breathtaking and cinematic tropical view. Their menu offers the most delectable home-style cooking. Chef Xavier serves the best seafood on the Island; such as traditional saltfish, divine lobster bisque, and Saint Lucia crab cake. Along with ginger and coconut-curry sauces, slow-cooked duck, lamb, beef and chicken and many more. Is your mouth watering yet? Because mine sure is. There are many dishes to feast from and Chef’s creations will never disappoint. The Coal Pot always provides a fresh and unforgettable meal. When visiting Saint Lucia’s Castries, make your way to this go-to restaurant. Make sure to book your reservations early to try and score a waterside table for an even more enchanting dining experience! Known as Saint Lucia’s best-kept secret, Brown Sugar is a great find to anyone who is lucky enough to dine there! This small family-run restaurant provides an intimate, cozy and warming dining experience. It overlooks the waterfront at Vigie Cove Marina, providing a calming lush green setting. Brown Sugar is a great spot for affordable, casual or romantic brunch, lunch or dinner. The air is cooling against the warming Saint Lucia sun and your menu options are abundant. Their dishes range from creative and fresh appetizers such as firecracker shrimp and Brown Sugar Wings! Their mains range from dishes featuring Pineapple Coconut dressing and stuffed chicken breast fillet, with mushroom mozzarella. The list goes on as they offer a wide range of dishes to choose from, there is something for everyone! Located right on the beach of Marigot Bay, Roots Beach Bar is the best spot to grab yourself a barbeque meal by the water! This little gem features both vegetarian and meat-eating BBQ options, it is locally owned and operated with a relaxing Rasta theme. You can enjoy an ice cold Piton beer from open to close, feast on delicious food and welcoming atmosphere. At Roots, you get the opportunity to experience the culture and meet the locals after enjoying a relaxing day on the beach. There are no reservations needed and the atmosphere is very casual, the environment is reflective of the ‘no-stress’ vibe of Saint Lucia and beachside dining. Jammer’s Beach Bar is the number one spot to go to enjoy specialty drinks, that are made fresh every day! This beachside Bar and Grill allows you to escape the blazing sun without feeling like you’ve left the island. You will enjoy delicious and creative international dishes during breakfast, lunch, and dinner hours. Located as a part of Windjammer Landing, the ambiance is casual, a great place to take a break after a full day or begin one. The beach bar is open until late at night, also making it a perfect spot for social gatherings. Don’t forget to come back to this guide when booking your trip to St. Lucia to make sure you experience the Island in the best way possible! This guide offers you options to take some time to get away from the common touristy area and explore different places, where the locals go! But overall, get the best out of your stay in the Castries St. Lucia. 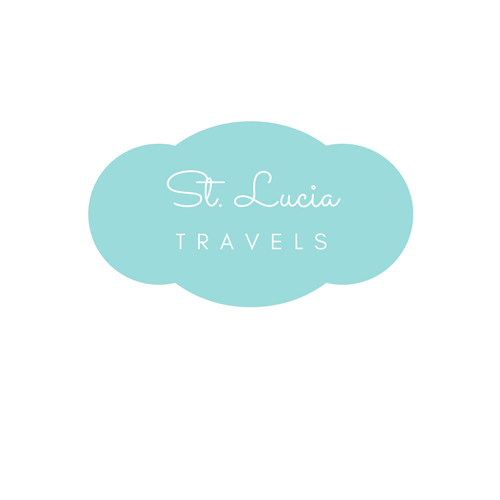 There are so many place to explore in St. Lucia and when you do, you will know where to start!